Tim’s HO layout is in a room 47 x 15 feet. He has approximately 140 feet of mainline track and his structures are beautiful. His layout is 99% complete and the time frame is the late 1960’s. Tim controls his layout by walk around DC. He will have trains running on a layout designed for both operation and just running trains. 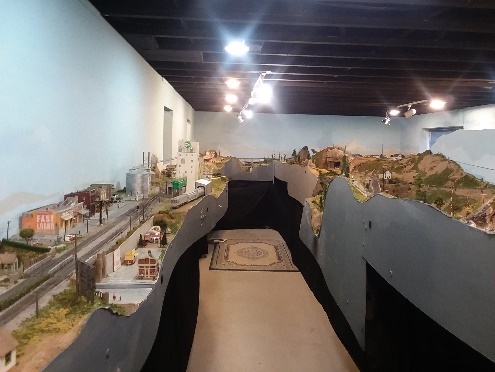 Enter the layout room by following a path on the south side of the yard and go through an open gate and down the outside stairs to the welcome area on the basement level. For more detailed information about Tim’s layout click here.